Hi ladies!! I am *so* excited to share this post with you!! Forever, I wanted to sign up for QVC's Testtube. It's a quarterly subscription from the US. Until recently, it wasn't available to Canadians. However, through City Girl's blog I learned that there was a plan for Canadians...yah! This one here is the July/August/September box. You know what that means? October will be shipping soon! :D The cost is about $45 shipped to Canada every 3 months. It comes with the New Beauty magazine. The magazine is really fabulous! It alone retails for 9.95. It is a big magazine: 9x10 1/2"! There are 192 pages of really easy to read articles with great pictures! 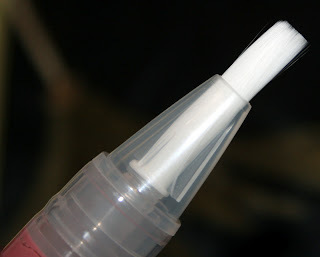 The testtube is 11" tall and approximately 4 1/4" in diameter. 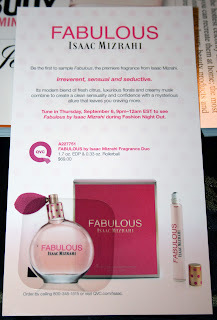 Inside the magazine was an Isaac Mizrahi "Fabulous" perfume sample. The difference with this subscription is that you don't just receive a product information card, you receive a magazine. Each product has a single page. It summarizes the product, gives in depth info, key ingredients, how to use it and even information about the company. There's even little "did you know" on each page. I know this isn't cost effective for smaller boxes..but wow, I'm blown away to get all this info! 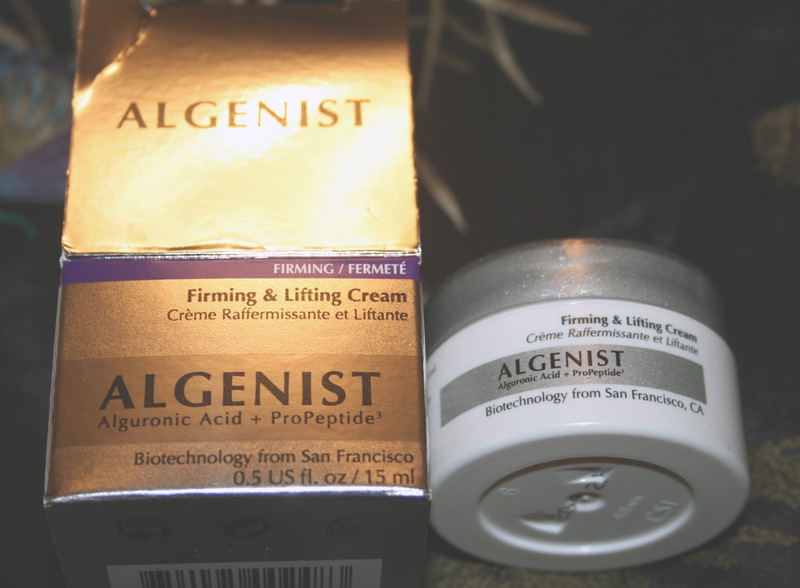 The first item is Algenist Firming Cream. It's supposed to help boost skin's density for a smoother appearance. This looks like a really nice product to try! Algenist is a biotechnology lab comprised of scientists who study and use microalgae for various renewable applications. The full size is 2oz for $94. The sample size is .5oz (15mL) worth $23.50. The next item is Laura Geller Waterproof Eye Spackle Pen. It's an eyeshadow primer. Interesting concept..in a brush/pen format! It also helps even out discolouration and redness. It even helps to keep eyeliner in place. It intensifies pigment, for richer, more brilliant colour payoff. Laura Geller has an ingenious collection of multitasking colour cosmetics that feature the most innovative new products. This is a full size product retailing for $22. This is the colour, which should be good for my skin tone. 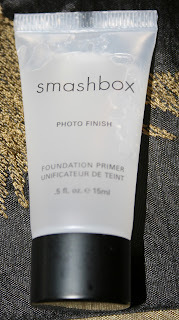 Next up is the Smashbox Photo Finish Foundation Primer. I've wanted to try this one for awhile. It's one of those things that's quite pricey and is just a base to your makeup. It's really nice to get a good size sample. It has a velvety texture and claims to reduce appearance of fine lines and pores. Smashbox was founded by Dean and Davis Factor, great-grandsons of Max Factor. At Smashbox Studios - photographers, filmmakers, models, actors, stylists and makeup artists collaborate to create iconic, inspiring visuals. It is through this creative process that their cosmetics are developed. The full size is 1 oz for $36. The sample size is .5 oz (15mL) worth $18. Then, there is the Mally High Shine Liquid Lip Colour. 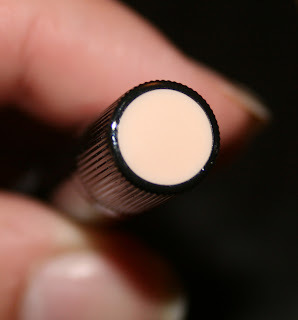 The product is a click pen lip gloss that creates a wet look with the colour appeal and opaqueness. Last time I tried something like this it was by Nyx and I didn't really like it. So we'll see. Mally Beauty was created by celebrity makeup artist Mally Roncal who has worked with all the top names in Hollywood and the music industry. This is a full size product retailing for $20. Here is what the brush applicator looks like. This is a pretty true depiction of the colour. Kind of looks like a strawberry milkshake, eh? I'm not sure if others got different colours. It appears that the name of the colour is Mally's Look. 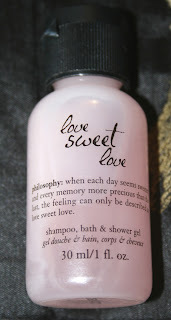 Then, we have philosophy love sweet love shampoo, bath & shower gel. This is a three in one in product that you can wash your hair and body with. I'm not sure I love that concept. It might work for some, but I have to use specific shampoos. Of course, I always try new things to see what works but for me "Tame Your Mane" is the best system currently. This product has a nice light berry citrus type scent. philosophy is a company that approaches personal care from a skin care point of view. Did you know philosophy uses lowercase writing on all of its products to symbolize the genuine curiosity and joy of childhood? Full size is 16oz for $22. The sample size is 1oz (30mL) worth $1.38. 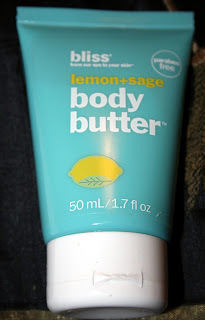 Next is the bliss lemon+sage body butter. This particular body butter is used and approved by bliss licensed massage therapists worldwide. It's fast absorbing, derived from coconut and grapeseed oils, supervitamins A&E and is paraben free. 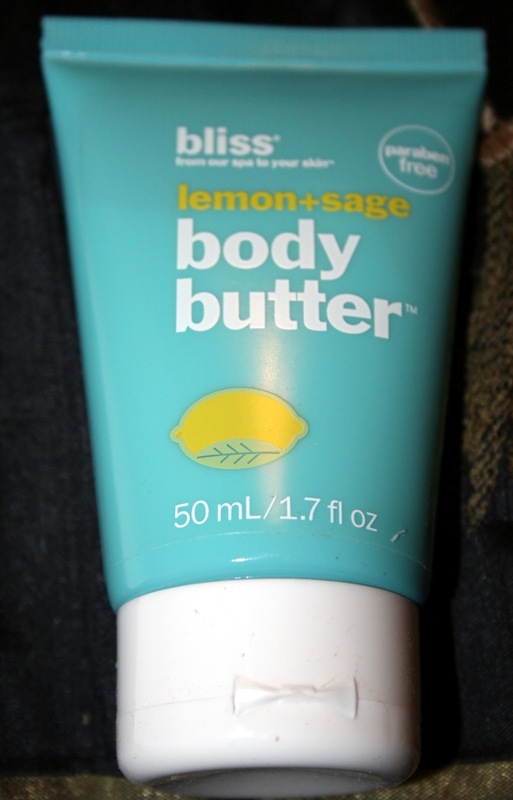 It smells heavenly of lemon and since it's made with sodium hyaluronate it feels like you're rubbing in water. It's fabulous! I'd definitely get the full size and that's just from a small test! bliss Spa's cutting edge skin care technology and advanced treatments are delivered onsite and a full line of products are available for clients to recreate the spa experience at home. Full size is 6.7oz for $28. Sample size is 1.7oz (50mL) worth $7. Then we have the Josie Maran 100% Pure Argan Oil Daily Moisturizer. 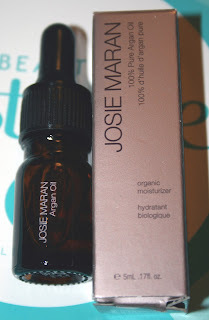 Argan Oil helps to nourish the skin and hair. I want to love Argan Oil whole bunches but whenever I use it..even the teeniest amount my hair looks greasy. I don't know why this happens to me. Maybe I should use it 30 minutes prior to washing my hair instead of using it as a flyaway treatment. But, this is apparently a really good proudct. The company is founded by actress and supermodel Josie Maran who believes that all women deserve makeup infused with pure ingredients that deliver high quality results. Last product is the Ojon Damage Reverse Restorative Conditioner. I'm actually excited to try this product because it's made with Ojon oil that is supposed to be super moisturizing. I have really coarse, frizzy unmanageable hair. When I wake up in the mornings it's like lightning struck a rhubarb patch. I wish we had received the shampoo as well! It smells incredible, with a hint of mint! Ojon product line revolves around a 500 year old tradition of time tested rituals and scientific breakthroughs. Did you know that a single Ojon tree supplies 8000 nuts, which produces just three cups of Ojon oil? Wow! Full size is 16oz for $40. Sample size is 2oz (60mL) valued at $5. 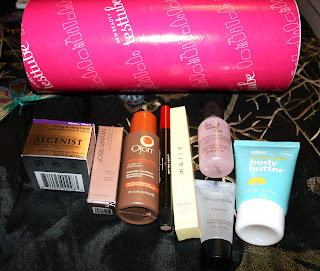 This is the whole tube of product. I know there were some poor reviews on it..but I think it was full of some awesome stuff that I've wanted to try or is new to me. 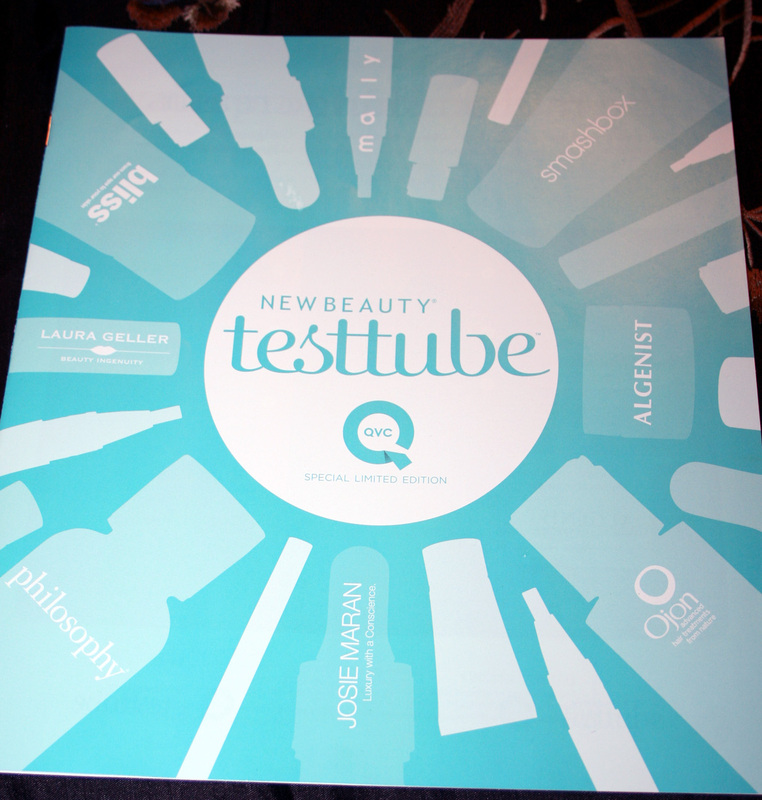 I'm really happy with the testtube and can't wait for my next one! What do you think? The value of the whole tube is approximately $102.09. I find it really interesting! I might have to try this next quarter then... Thanks for sharing! Please post later about your impressions of these products! Another comment... How can people be dissatisfied - don't they see what they're going to get with this tube? Why buy it if they're not interested in the products? Good to hear that's awesome! 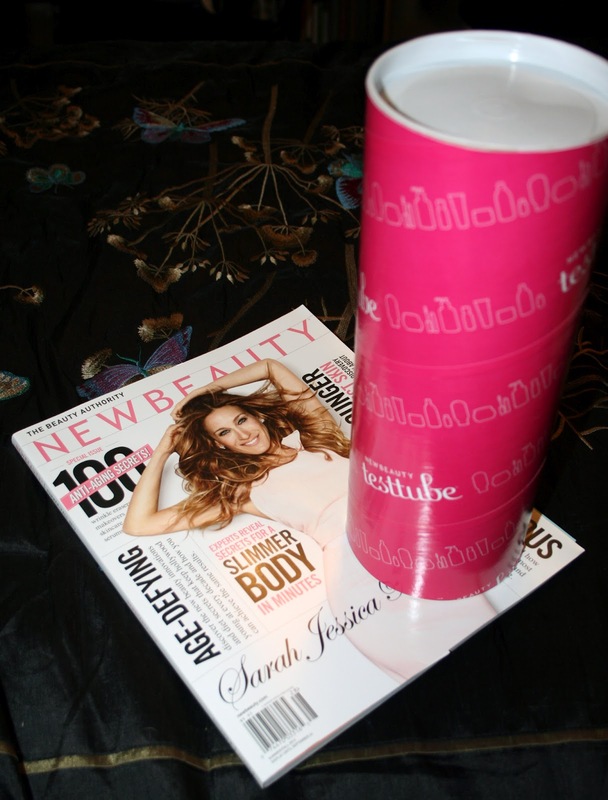 I love this tube, even though it's my first one lol. Hope you get a chance to try it! Absolutely! I can't wait to get the next one! I phone QVC and they said that they were not able to ship this one to Canada because of hazardous material. Mine was cancelled as well and I am *so* disappointed. Why couldn't they just replace the one item. Besides, I heard that it was shipped within Canada anyways!